No Ukrainian servicemen have been killed but five soldiers have been wounded in the antiterrorist operation (ATO) area in eastern Ukraine over the past day. A spokesman of the presidential administration for the ATO, Col Andriy Lysenko, said this at a briefing in Kyiv, an Ukrinform correspondent reports. 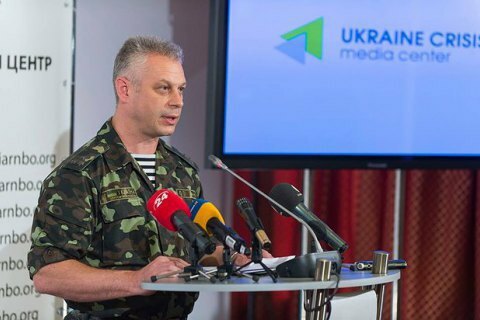 “No Ukrainian servicemen have been killed but five soldiers have been wounded as a result of military operations over the past day,” Lysenko said. He added that pro-Russian militants also suffered losses: one terrorist was killed and another five were wounded.